In the U.S., 70% of college students graduate with a boat load amount of loans. According to CNBC, over 44 million Americans collectively hold nearly $1.5 trillion in student debt, which means almost one in four American adults are paying off student loan debt. Now, students are looking for alternative, unconventional ways to pay tuition. And they're using an online dating site to do it. 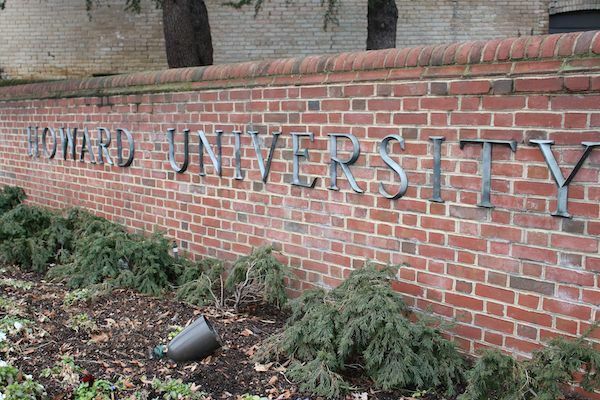 According to a new list created by Seeking Arrangement (one of the largest online "dating" site for sugarbabies), Howard University is one of the fastest-growing "sugar baby" universities in the States, ranked at No. 22 on this year's list. And it's the only HBCU to make it on the list. In 2018, 135 Howard students signed up on the site, bringing the total of Sugar Babies at Howard to 502. The website claims to be the "world's largest Sugar Daddy dating site where over 10 million members fuel mutually beneficial relationships on their terms." If you previously didn't think it was a good time to discuss the utterly outrageous cost of education in America and the impact it's having, now may be a great time. Students registered on Seeking Arrangement get help paying for tuition and even more benefits. Finding the right Sugar Daddy can help students gain access to the right network and opportunities. College Sugar Babies can also get help paying for other college-related costs, such as books and housing. The monthly rent for a one-bedroom apartment in DC climbed to $1,966 in 2018, increasing by more than $300 since 2015. The average monthly allowance a Sugar Daddy provides is $3,000. It is easy to understand why so many students in the US are taking this unconventional route to financial freedom. In 2017, Howard landed at the No. 18 spot on their "Sugar Baby Ranking by University" list. White House wants to limit how much money parents and graduate students can borrow to pay for college costs. When you make a rule that lmits borrowing, while not simultanuesly putting regulations on private lenders who people will indeed turn to, it's a recipe for private lenders (Sec. of Education Betsy DeVos conveniently owns a private tuition lending company) to profit even more. This will also make it easier for rich people to be accepted into college while people with top GPAs will be deterred from even applying in the first place, or have to turn down admission offers due to cost. Seems like even more room is being made at good schools for privileged, mediocre students after the huge college admissions scandal that broke last week. PREVIOUS: Paris Jackson Goes Off Again, Spotted On Movie Date With Boyfriend & Mötley Crüe Show After Denying Attempted Suicide Reports + Now Refusing Rehab?